WELCOME TO GOOD EARTHS SHOP! Good Earth’s Shop has served the Parkland area since 1978 and is located in the Linden Square Mall, Yorkton. The store specializes in natural health remedies and supplements; vitamins, minerals, herbs, weight loss and body building supplements, brain and heart health, digestive care, cleansing, organic and gluten-free groceries, bulk herbs and flours, health based accessories, and personal care items. Good Earths is also the exclusive carrier of Health First products in the Yorkton area. To learn more about Health First, visit healthfirst.ca. Brands include: Natural Factors, Prairie Naturals, Preferred Nutrition, Flora, Body Plus, Purity Life, Now, and Renew Life, VEGA, and many more. If you’re looking to lose weight and get in shape, Good Earth’s also has a great selection of pre- and post-workout products, protein powders, electrolytes, meal replacements and amino acids. Good Earth’s carries a large selections of quality pure essential oils, natural cosmetics and soap making supplies: everything you need to make bath salts, bath bombs, lip balms and more. The store offers many different models of aromatherapy difusers. Where possible, they bring in as many local products as possible. Good Earth shop is pleased to offer seniors (60+) 25 per cent off regular priced (white stickered) tablets and capsules every Wednesday. For everyone else, there’s the Vicinity program to earn extra savings, coupons, and samples to make staying healthy more affordable. Good Earths Shop doesn’t only offer healthy living products. The store also has a clinic room available for a variety of services. Their far infrared therapy bed can be used for a variety of purposes including pain and weight management, stress reduction and insomnia. The bed helps with oxygenating and alkalizing the body, and is a relaxing and spa-like experience. Health services offered in the therapy room inside the store include: Facial with E-Power treatments, Electronic Reflexology sessions, and SOQI Bed sessions. These devices that are approved as medical devices by Health Canada. IonCleanse Foot Bath sessions are also offered to help clear the body of the toxins of everyday life, but is not approved as a medical device by Health Canada. 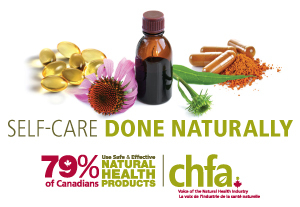 Good Earths Shop’s friendly staff are extremely knowledgeable about their products, and they’re continually being trained on new trends in the industry by sales representatives and Naturopathic doctors. If they can’t answer a question right away, they’ll be sure to find the answer for you. To see how the team at Good Earths Shop can help you put your health first, visit the store in Linden Square Mall in Yorkton. The friendly staff will also ship out of town and place special orders. Put your health first with good Earths Shop!